Since the beginning of web application delivery, there has been an opportunity for fraudsters to get into the middle of a transaction and impersonate the legitimate user. Since the credentials used for this fraud are valid and “expected to be under the control of the real user,” this type of impersonation has been difficult if not impossible to detect and stop. This paper investigates the threat of session hijacking and the solution developed by CA to address the security threat. 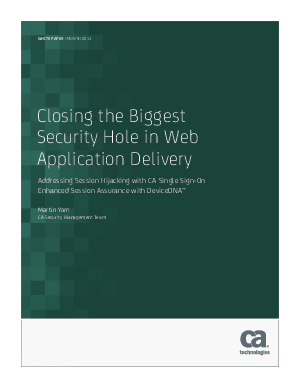 Download this paper to find out how CA Single Sign-On can benefit your business.